There are different housing options available in North Yorkshire, some with support included and some without. Ultimately, you will decide what accommodation to accept but we will be considering your needs and your level of independent living skills to ensure the accommodation offered to you is suitable and appropriate. We will make sure that your views are listened to and accounted for throughout the process. Staying with foster carers after you have turned 18 is called ‘Staying Put’. Staying Put is available to any eligible young person approaching 18 who wishes to continue living with their foster carers. If your foster carers cannot offer staying put, then we will look for another foster placement which can. You can stay within this arrangement until you are 21 years old. This will not affect your entitlement to housing when you leave ‘staying put’, as you will still be considered a priority. Staying Put can also be accessed whilst you are at university or engaging in another training programme that requires you to live away from home. You will get the security of the on-going relationship with your carer and their support to develop your independent living skills. Choosing Staying Put has proved very successful for many young people; improving their employability, social resilience and life chances. Speak to your social worker, independent reviewing officer or case worker if you would like to find out more. What about if I have a disability? 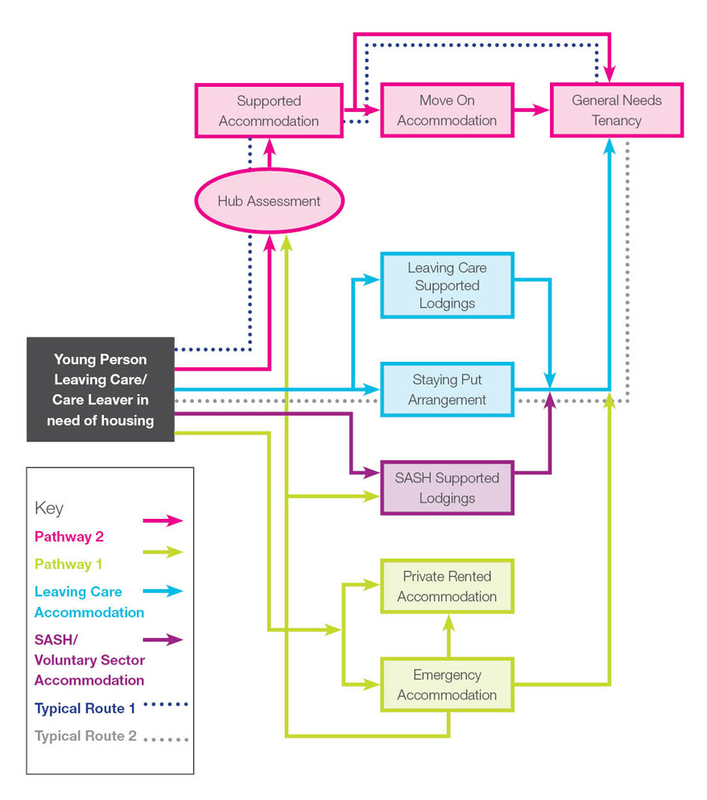 Young people who meet the criteria for adult care services due to disability would transfer to a ‘shared lives’ placement which is similar, but not quite the same as the 'Staying Put' arrangement. If you are new to adult social care you can find out more about a needs assessment here. You can read lots of advice about preparing for adulthood if you have a disability here. Does the Staying Put provider receive a fostering allowance? Staying Put providers receive a support allowance similar to the foster carer rate. The overall amount is slightly lower but this is balanced by providers no longer being expected to provide an allowance or pay for any additional items such as toiletries or clothes. How does the allowance get made up? Staying Put allowance is made up of 3 parts. Part 1 Support amount paid directly by NYCC. Part 2 and 3 may come solely, or in a combination from, benefits, earnings, bursary, student loans or living allowance. What if I'm going to university? Staying Put can still be offered if you are going to university. The Staying Put provider will receive a ‘retainer’ from NYCC to keep the room available for you to return to in the holidays. If you return for a week or more, the full support allowance will be paid by us, and the rent and food and utilities contribution will be your responsibility to pay. You can find out more about how we can support you to go to university here. There are lots of different types of supported housing options available to you, depending on your level of need. We will make sure you understand the options available to you and encourage you to accept housing which we believe is in your best interests. If you are at university and need help with the cost of accommodation during vacation time, we will help you with this too. Find out more here about support we can offer for your education and studies. Who is responsible for the accommodation? care team Leaving care supported lodgings are bespoke arrangements arranged on a case by case basis. If there is an opportunity for you to benefit from a supported lodgings arrangement your case worker will discuss this with you. One of the placement options available within the NWD hub is ‘NWD supported accommodation’ which will provide accommodation and support as a transition arrangement for young people living within a NWD residential hub who want to try out living more independently. They still get the support of the NWD team to stick with them as they move into adulthood. High needs supported lodgings host: For this role we ask someone to provide a room within their home and be the stepping stone for young people moving towards living independently. Hub placements will provide the support needed to help young people move on in their lives. Placements will be planned and can be on a short term, medium term, or respite basis dependent on the young person’s circumstances and their care plan. In addition the host can have a sessional contract (subject to interview) and be able to work in other areas of the hub. This allows the host to build relationships with young people who may eventually be placed with them. pathway 1) SASH You will be provided 1 to 14 nights of accommodation in a volunteer host’s home, which includes an evening meal, bed, washing facilities and breakfast. During the day you return to the pathway 1 hub to work with the homelessness support worker to resolve your housing issues. peoples pathway 2) SASH Accommodation and support provided in the home of a volunteer approved ‘host’ for up to 2 years, you have your own room and key. Support is provided by the host and a support worker to develop independent living skills and access or maintain employment, education or training. When ready, you are supported to find suitable accommodation and settle in. Broadacres. A range of 24/7 staffed supported accommodation for single young people with either self-contained or shared facilities for up to 6 to 18 months. You will have a support worker and access to activities to gain independent living skills and education employment & training. From here you might move into the supported move on accommodation or full independent living. YMCA, Ripon YMCA Properties for single young people and young parents located in the community with support to maintain the tenancy and get ready for the next step of full independent living. authority housing) North Yorkshire Home Choice is a choice based lettings scheme that advertises council and housing association properties for rent and shared ownership properties for sale. Available properties are advertised weekly and if you are eligible and qualify to join the North Yorkshire Home Choice housing register you can express an interest, or bid, on up to 3 properties each week you would like to be considered for. (such as DISC, Horton Housing) Practical support to build skills, confidence and knowledge to help you maintain a tenancy and live independently successfully. Privately rented Private landlord Renting a property from a private landlord. This means renting from someone who owns a property. Private landlords usually rent out properties so they can make money. A private landlord can also be a company that owns lots of properties. For more information and support with private tenancies you can contact Citizens Advice. accommodation Various If you have additional needs which providers would be unable to meet within the accommodation offered within pathway 2, such as a severe learning disability or difficulty or you are a very high risk offender, you may be referred to a specialist accommodation provider where you can get the right support. Your leaving care case worker, adult social worker or probation officer will talk to you about specialist accommodation options if you need this. This graphic helps to show how you might move between the different types of accommodation at different times, or progress from one type to another. If you need this information in a different format, please contact your leaving care case worker.